DALLAS, Texas, September 9, 2010 (ENS) – Concerned about the health and environmental dangers of coal ash dumps, hundreds of residents from four states packed a U.S. EPA hearing in Dallas Wednesday, urging the agency to adopt the stronger of two plans to regulate the waste from coal-fired power plants. The agency’s proposed regulation is the first national effort to ensure the safe disposal and management of ash from coal-fired power plants, which generate some 136 million tons of coal ash every year. Texas burns more coal than any other state and also produces more coal ash. Power companies can bury it in landfills or store it in impoundment ponds, or they sell it as a component of building materials, roads or pavement. “Doctors and scientists are just beginning to learn how the hazardous substances found in coal ash detrimentally affect human health,” said Dr. J.P. Bell, an emergency room physician from Fort Smith, Arkansas. Coal ash is composed primarily of oxides of silicon, aluminum, iron, calcium, magnesium, titanium, sodium, potassium, arsenic, mercury, and sulfur plus small quantities of the radioactive elements uranium and thorium. The public hearing is one of seven the EPA is holding across the nation through the end of September on its plan to regulate coal ash. EPA will hold one additional public hearing in Knoxville, Tennessee during the week of October 25, 2010, the exact date to be announced. The need for national management criteria and regulation was highlighted by the December 2008 spill of coal ash from a surface impoundment at the Tennessee Valley Authority’s Kingston Fossil Plant in Roane County, Tennessee. TVA, a public utility owned and operated by the federal government, local, state and federal agencies continue to work on recovery and cleanup of the millions of tons of ash that buried a valley and spilled into the Clinch and Emory rivers. 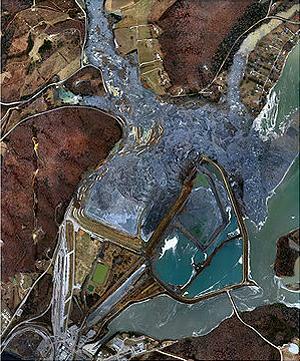 EPA has proposed two main coal ash management approaches. 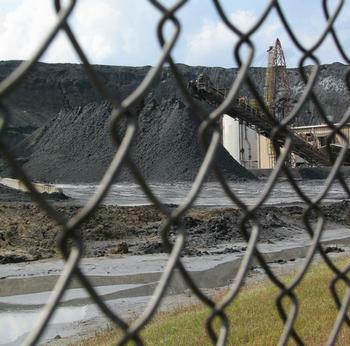 The stronger one treats coal ash as a hazardous waste. It would phase out surface impoundments and move all coal ash to landfills. Each state would have to individually adopt this version of the rule, which would be enforced by state and federal governments. Protective controls, such as liners and ground water monitoring, would be required at new landfills to protect groundwater and human health, under the stronger proposal. Existing landfills would have no liner requirements, but groundwater monitoring would be required. The weaker proposal would continue to allow coal ash to be disposed in surface impoundments, but with stricter safety criteria. New impoundments would have to be built with liners. Existing surface impoundments would also be required to install liners and companies would be provided with incentives to close these impoundments and transition to safer landfills which store coal ash in dry form. Existing impoundments would have to remove solids and retrofit with a liner or close the dump within five years of the rule’s effective date. This weaker proposal would apply across the country six months after final rule takes effect, but there would be no state or federal enforcement. Citizens or states would have to enforce this version of the rule through the courts. The coal industry prefers the weaker proposal, which treats the ash as as a non-hazardous product. Thomas Adams, executive director of the American Coal Ash Association, told the EPA hearing in Denver last week that by labeling it as a toxic, the EPA would jeopardize a successful recycling industry for coal ash products such as bricks and concrete that uses nearly half the coal ash produced. In advance of the public hearings, the Environmental Integrity Project, Earthjustice and Sierra Club issued an extensive report on the nationwide scope of the coal ash disposal problem. The report, “In Harm’s Way” pinpoints 39 previously unreported sites in 21 states where coal waste has contaminated groundwater or surface water with toxic metals and other pollutants. Their analysis is based on monitoring data and other information available in state agency files and builds on a report released in February of 2010, which documented similar damage at 31 coal combustion waste dumpsites in 14 states. When added to the 67 damage cases that the U.S. Environmental Protection Agency has already acknowledged, the total number of sites polluted by coal ash or scrubber sludge comes to at least 137 damaged sites in 34 states. “At every one of the 35 sites with ground water monitoring wells, on-site test results show that concentrations of heavy metals like arsenic or lead exceed federal health-based standards for drinking water,” the report states.